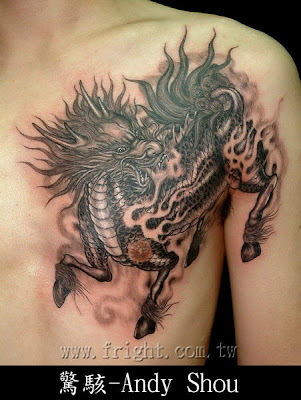 This tattoo design is called Kylin or Qilin. It is connected with the arrival of a sage and a good omen. It has dragon's head. Image one has a dragon tattoo on the right shoulder and a Kylin tattoo on the left.